Mr. Kennith Muanalo's website has just been launced. 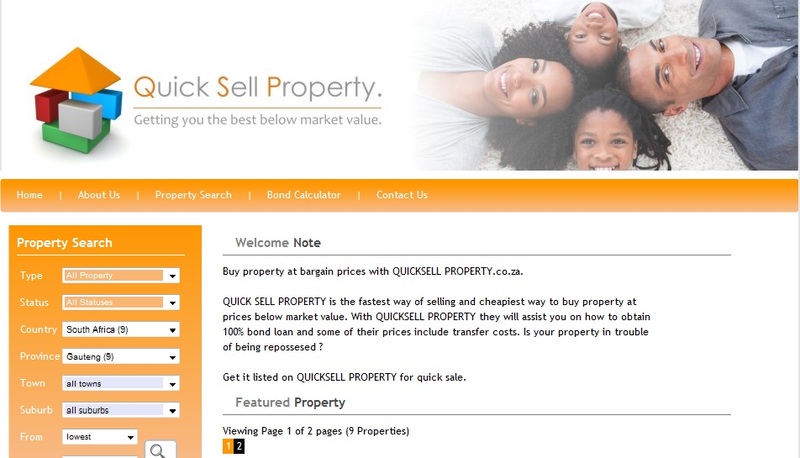 Quick Sell Property (see http://www.quicksellproperty.co.za/) just got a new template website to its name! A brand new logo was also designed by Entegral for Mr. Muanalo and the Quick Sell Property brand. Quick Sell Property mainly operates in Kosmosdal, Midrand, Faerie Glen, Waterkloof Ridge, The Meadows.